Various Types of Portable Computers Built for Various Needs! Every now and then, a technological achievement so big comes by it changes the way we conduct ourselves. This is especially true when we talk about business. During the last century different technologies have been introduced that have revolutionized the way we do business: the calculator, the personal computer, the point of sale (allowing checking out at stores much faster and easier), the smartphone, and others. However, the ones we will be exploring today are portable ones, namely laptops, smartphones, or tablets. Let’s get to know a little bit more about each! Basically, a fully loaded portable computer. It resembles a notebook (reason for which it is also called that), “folds” shut and opens to reveal the screen and a physical keyboard. The laptop PC and netbook come in different sizes. Smartphones are essentially a cellphone with computer-like capabilities, such as internet access, email, and more. It is mainly used for business purposes and it allows exploiting the potential of our businesses while on-the-go. Probably the most powerful contender on this article. It is pretty much a portable, touch screen computer with wireless capabilities. As its name describes it, it has a tablet shape, thin and light, which makes the tablet quite easy to carry around. The Big Question: What Type of Portable Computer Do I Get? If you happen to sit on a desk all day and not be much on the go, then your best choice will be a desktop computer. 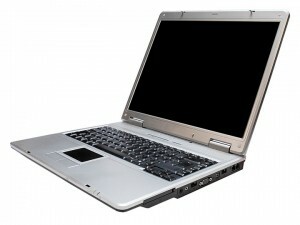 It is far more powerful and, in most cases, cheaper than any of the other types of portable computers available. If you happen to do some, yet not much on-the-go business, then probably you will be better off with a laptop or netbook. It is more comfortable to use than a tablet and it has better capabilities. But if you happen to be on the road quite often and find yourself using your cellphone relatively often, then you must analyze which would be a better choice for your specific case. A smartphone is smaller than a tablet, hence more portable, but, because of its size, a tablet is comfortable to use and has better performance than a smartphone. If you are still having a hard time deciding, give Telx Computers a call! We will be more than happy to help you, not only make the best choice about which technology works best for you, but also which device fits your needs the best.